“A Unique American Ritual: The School Shooting,” a short video from the New York Times. There’s only one gun store in all of Mexico, and it’s on an army base. But the southern border region of the US bristles with gun shops. “… like so many aspects of life in Mexico, the influence of its powerful neighbor to the north is keenly felt: Each day the army gun store sells on average just 38 firearms to civilians, while an estimated 580 weapons are smuggled into Mexico from the United States. What can be done? For a start, the U.S. can finally ratify the The Inter-American Convention Against the Illicit Manufacturing of and Trafficking in Firearms, Ammunition, Explosives, and Other Related Materials (CIFTA). 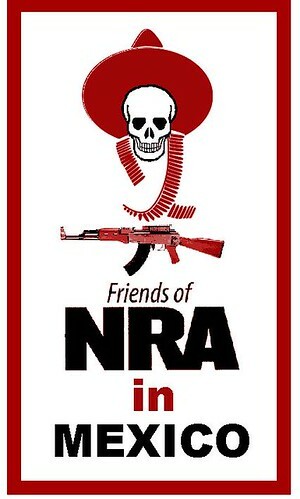 The National Rifle Association has thrown money around and stalled this for a dozen years, at the cost of thousands of lives. You think life is cheap in Mexico? 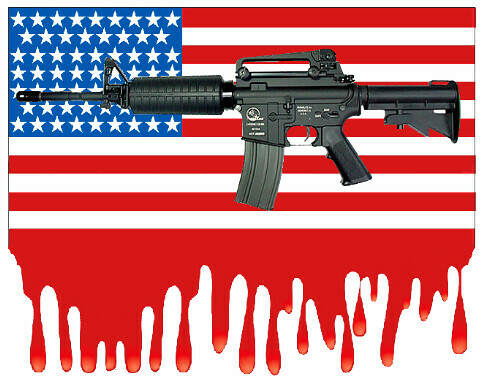 So are congressmen here in the USA — you can buy them for the cost of a few assault rifles. Gun violence marches this weekend span the entire country, and over 800 places around the world. What can be done? The Parkland students have some ideas. 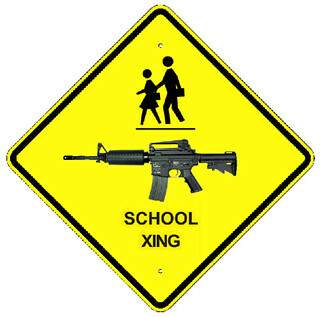 What students think about school shootings. A Vox video. More than 187,000 students at nearly 200 U.S. schools have experienced gun violence during school hours since the 1999 Columbine shooting. A Washington Post analysis found that there have been 10 school shootings a year since Columbine. There have already been 11 shootings in 2018. After the horror of the Parkland school shooting, many were outraged that the perpetrator was able to buy a military-style rifle at the age of 18, when he was still too young to buy beer. President Trump has suggested raising the minimum age for purchasing an assault rifle to 21, and so has Florida Governor Rick Scott, but the NRA isn’t having it. 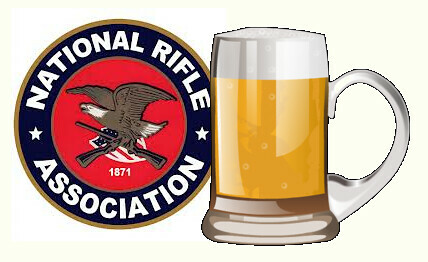 To address the gun/beer inequity, we expect the NRA to propose lowering the legal drinking age to 18 any day now. After last week’s tragic shooting at Florida’s Marjory Stoneman Douglas High School, President Trump determined how to stop further school shootings: give teachers guns. The idea was met with horror and roundly condemned by the teachers’ union, law enforcement, military veterans, individual teachers, and students. Mr. Trump claims that 20% of K-12 teachers are military veterans, but the number is closer to 1%. The president says that “gun-adept” teacher vets should get a “small bonus” for packing heat in the classroom, and claims he can find the money to do so, at a time when teachers have to pay for student supplies out of their own pockets.